Welcome to Fiona Andrews Interior design. Fiona enjoys translating the client’s brief and collaborating with them to create a truly bespoke interior. 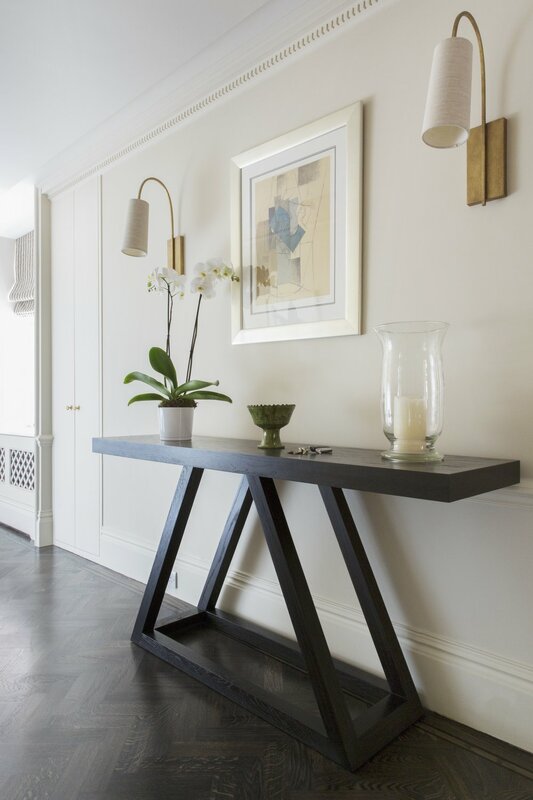 We were brought in to this beautiful apartment for a family in Hyde Park to help redecorate a couple of rooms which rolled into a total refurbishment. These clients have a large art collection which was a great starting point for the colour scheme in their home. This large house in Kensington was not working well for this young family of five. We injected some fun into the property with pattern and colour and so enjoyed creating rooms for the children. 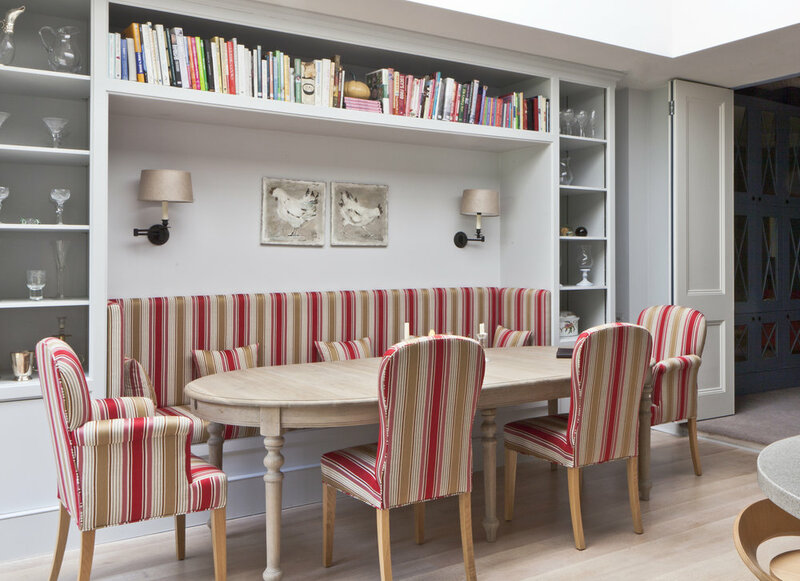 A substantial house in Putney created for a husband and wife clients with two young boys. 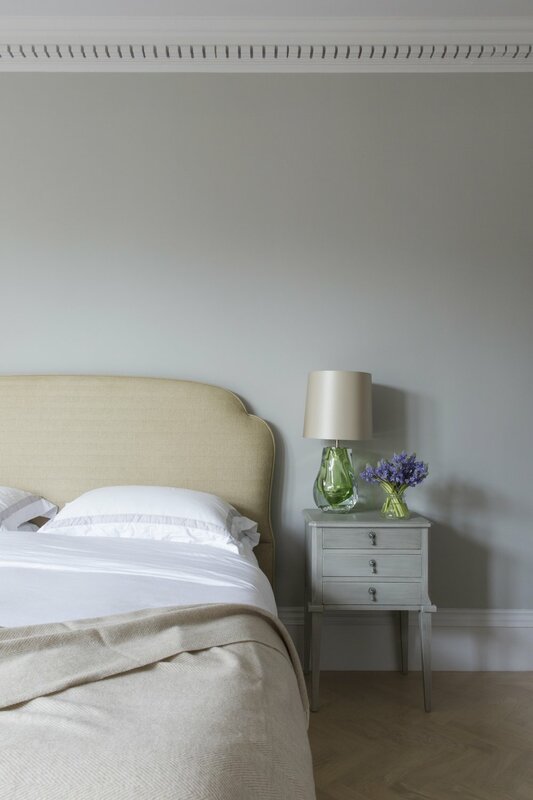 The family had moved from a property where everything had been cream and brown and they wanted some colour brought into their new property. The TV room with the pink sofa was a dark room so we embraced the gloom with these deep blue walls and bespoke cabinetry filled with antique mirror glass. This lovely bijoux apartment was refurbished for a single girl about town. 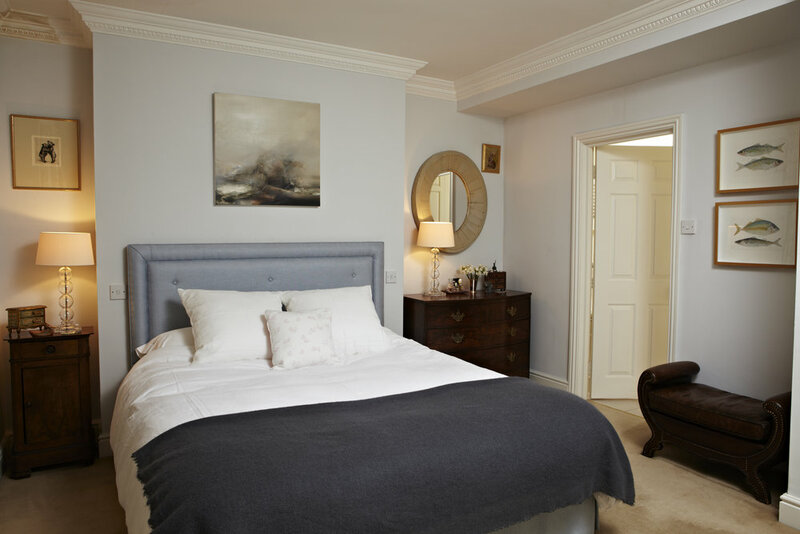 We ensured there was space to entertain friends, plenty of storage for clothes in the bedroom and bespoke cabinetry for a hidden TV in the dining room. 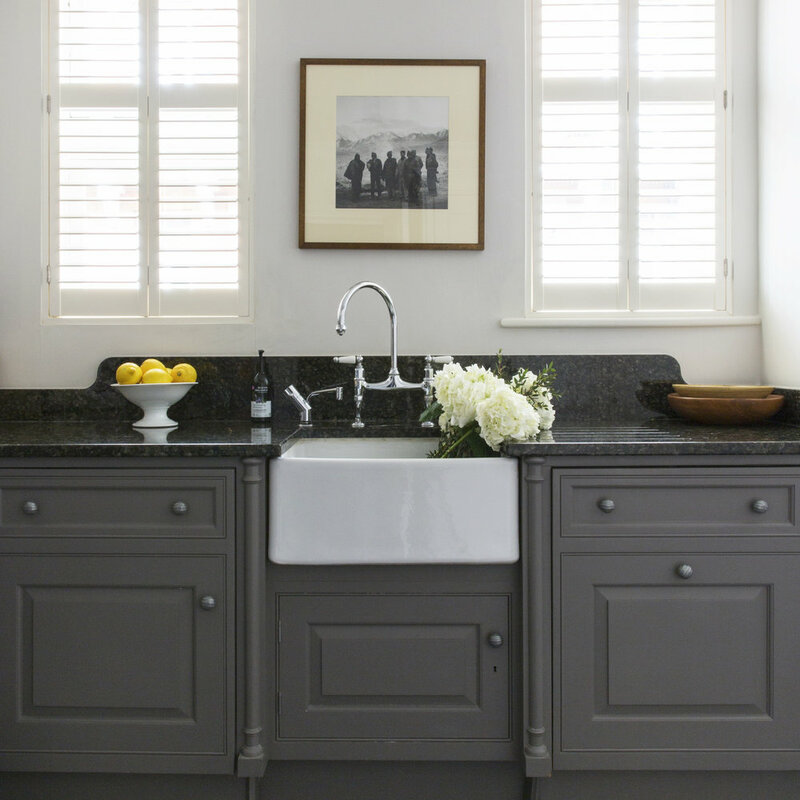 This house in Fulham was decorated for a couple who had a love for old and new and wanted a calm interior. 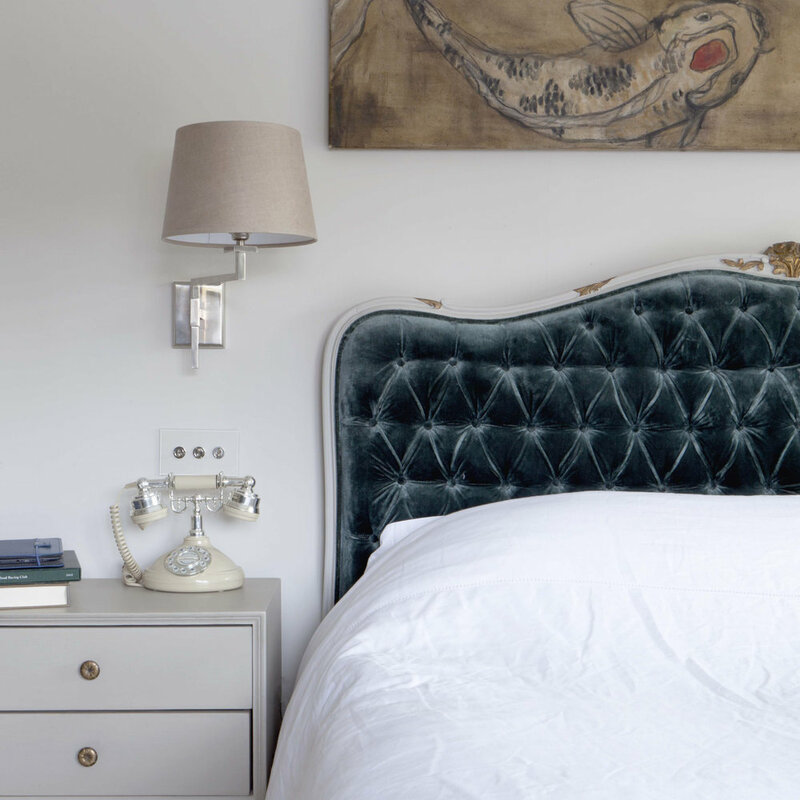 We combined their existing antiques with a few more pieces, antique textile cushions and some more contemporary pieces of furniture and lighting while keeping the palette subdued for a relaxing home.